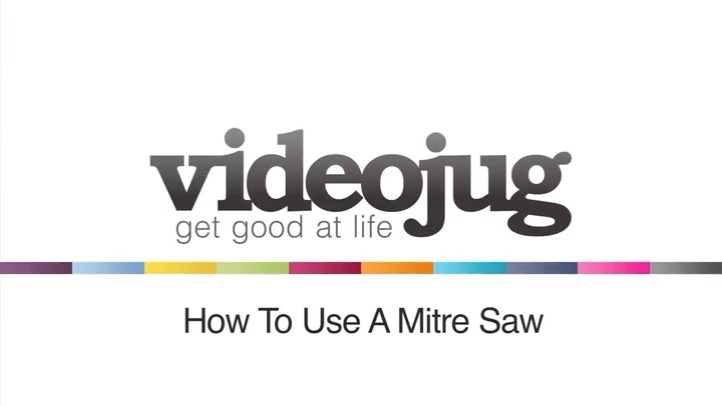 This video explains the safe way to use a mitre saw. It’s important to always remember your safety equipment. This is how to use a mitre saw. Okay, first of all, we’ve got quite a big machine. This one here is 110 volts so it plugs straight into your transformer. This one’s got a max cutting depth of about 89 mil. Before you actually purchase one, make sure you check the cutting depth and the actual width and the length it can actually cut with this machine. Okay? To use the machine, first of all, make sure you’ve got your safety equipment. That’s gloves, goggles, gas mask, also your safety boots as well. Plug the machine in. This one’s got different angles so you can change angles on the machine to how you want to actually cut it. And it’s also got an adjustable arm. So, when you push down, the guard goes back. You can move it to actually cut through the wood backwards like so. Release the switch. Let the blade come to a stop. Once it comes to a stop, then just remove your timber. This one here has got a feature which is a laser. What it does is it projects a laser straight onto the wood so you know exactly where you’re cutting on the wood as well. When you’re using this machine, make sure you’ve got this hand out of the way because you don’t want to lose these little pinkies. So, make sure you stand back from the machine. You haven’t got your hand anywhere under the blade but you can have your hand on the piece of timber wood, so when you’re actually using it, get your hand out of the way so when it cuts through the piece of wood, you’re aren’t actually touching it. Once it’s cut through, let go. Release up. Let the blade come to a stop. Once it has come to a stop, then you can move your bit of timber. And that’s how to use a mitre saw.